One of the highest costs for any business in Alaska is energy. People have found many methods to reduce energy costs including solar arrays, geothermal, wind farms, and other sources of renewable energy. In addition to these sustainable energy options Alaska Business also covers traditional fuel topics such as diesel power and energy efficiency. Mayor Ethan Berkowitz announced the appointment of Anna Henderson to the position of General Manager for Municipal Light and Power. BP and the Environmental Defense Fund (EDF) announced a three-year strategic commitment to advance technologies and practices to reduce methane emissions from the global oil and gas supply chain. 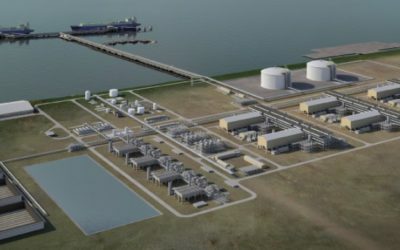 The Alaska Gasline Development Corporation (AGDC) signed an agreement with BP and ExxonMobil to collaborate on ways to advance the Alaska LNG project by working together to identify ways to improve the project’s competitiveness, and progress the Federal Energy Regulatory Commission authorization to construct the project. Alaska Governor Michael J. Dunleavy will lead a small delegation to CERAWeek 2019, an annual gathering of international energy industry leaders in Houston, TX. Dunleavy will also join IHS Markit Vice Chairman and conference Chair Daniel Yergin for a “special dialogue” highlighting Alaska’s energy renaissance and new investment opportunities. BSNC has announced the promotion of Karla Grumman to Chief Human Resources Officer/Associate Vice President. With an eye toward continued growth, the Koniag Board of Directors selected Ron Unger as Koniag’s CEO. Marty Shuravloff has been appointed to fill Ron’s seat on the Koniag Board.